Introduction: Gena Philibert-Ortega is a genealogist and author of the book “From the Family Kitchen.” In this blog article, Gena gives examples of six types of newspaper articles that can help with your family history research. On the 12th day of Christmas my true love gave to me…Well if you’re like most of us your family history gift would be finding more mentions (or perhaps just one mention) of your ancestors. Instead of geese a-laying or the partridge in a pear tree, you want to go straight to the genealogy happy dance where you celebrate finding that newspaper article about your ancestor. The ways in which your ancestor could be listed in the newspaper are endless – but there are some go-to articles you should be regularly looking for. It’s important to be knowledgeable about what newspaper articles can assist in your search so that you know what is available and what you should expect. Will your ancestor be mentioned in each type of newspaper article listed below? No, many factors determine whether a person is mentioned in any one type of article, but you should still keep your eye out for the following article types. In honor of the 12 Days of Christmas, this article will take a look at 12 genealogically rich newspaper article examples – starting with these first 6 that provide the basic facts about a person: their birth, marriage, and death. Tomorrow, in Part II, we’ll look at 6 more types of newspaper articles that can help with your family history research. All of these examples were found in the pages of GenealogyBank’s Historical Newspaper Archives. A person is born and the newspaper publishes an announcement, right? Well, sometimes. 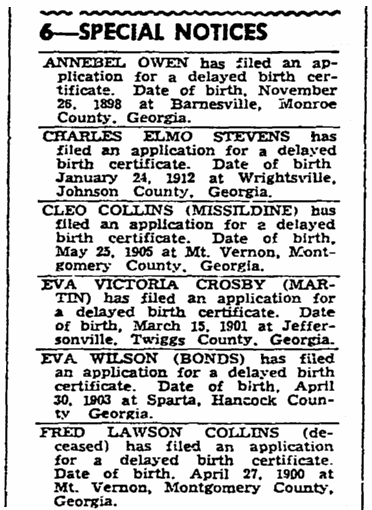 In some cases a birth notice at the time of the birth might be found in the newspaper. However, even though newspapers report current events, in some cases a birth notice may not appear until sometime much later than the actual birth. At first read that doesn’t appear to make much sense, so let me explain. One example is the case of delayed birth certificates, when a notice appeared in the newspaper notifying the public that a person had filed for one – and that notice included their birth date. What is a delayed birth certificate? These are a type of birth certificate issued to those who were born before the mandatory use of birth certificates, or for those whose birth was not registered at the time of the event. Obtaining a delayed birth certificate was especially important after the implementation of Social Security and during World War II. Look at some of the samples in this article. In the first one, the person was born in 1898 – yet was requesting a birth certificate in 1944! Genealogy Tip: Birth announcements are likely not to include the name of the child, so search instead for the parents’ names or just the surname. An upcoming nuptial may lead to numerous mentions in the newspaper, starting with an engagement notice. These notices may or may not include photos and will likely provide a little bit of information about the perspective bride and groom. 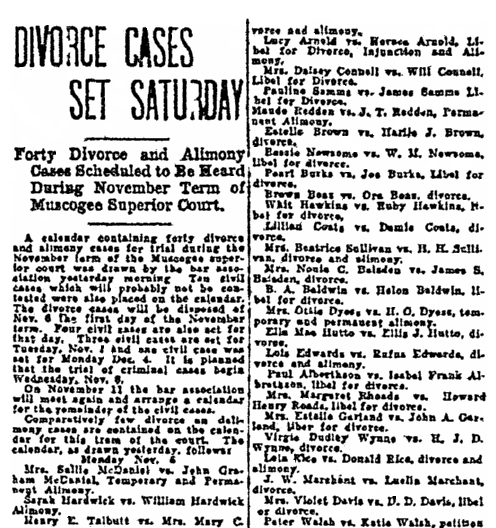 This 1922 Alabama newspaper column of engagement notices includes an example showing how much family information these notices sometimes provide: the Hertz-Friedman announcement reports the place of residence for the bride’s father, the groom, and the groom’s mother – both her current and former locations. 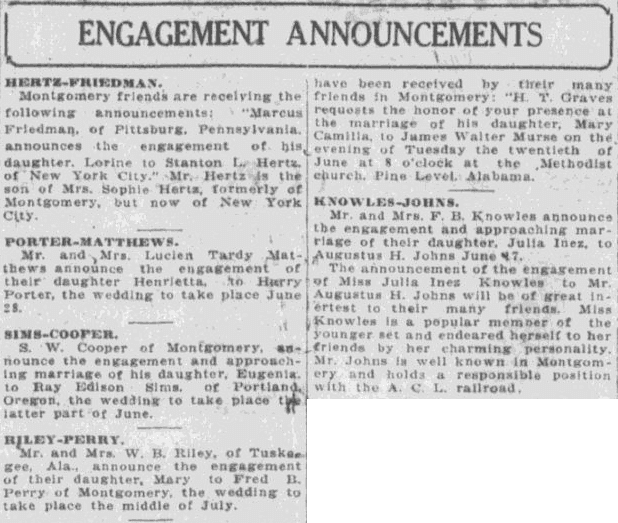 Genealogy Tip: An engagement notice might be in several newspapers, including the newspaper where the bride or groom live and the newspapers where their parents live. So make sure to not limit your search to a single city. Miss Knowles is a popular member of the younger set and endeared herself to her friends by her charming personality. Mr. Johns is well known in Montgomery and holds a responsible position with the A. C. L. railroad. Remember that an engagement notice – like the issuance of a marriage license – does not mean that a wedding actually took place. It’s important to continue your search and seek out proof that the wedding occurred. We sometimes get so used to the way a newspaper is laid out that we may miss newspaper articles that appear to be something else entirely. 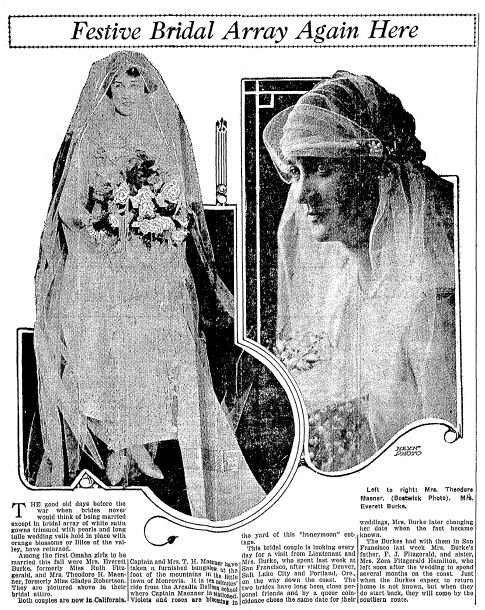 For example, this 1919 Nebraska newspaper article is entitled “Festive Bridal Array Again Here.” At first glance this appears to be an article about wedding fashion – but it is really a wedding announcement for two couples that begins with a comment about the return of festive wedding attire since the end of World War I. The announcement goes on to tell us about the two couples and where they currently reside. 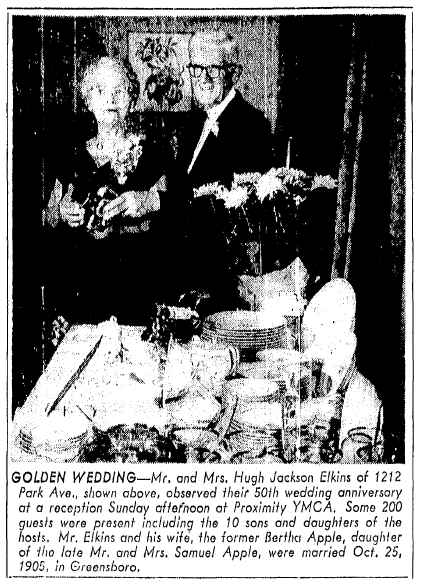 Celebrations for couples that have been married for 25, 50 and even more years are often documented in the newspaper. The great thing about these articles is they may include the wife’s maiden name as well as the names of the couple’s children and grandchildren. 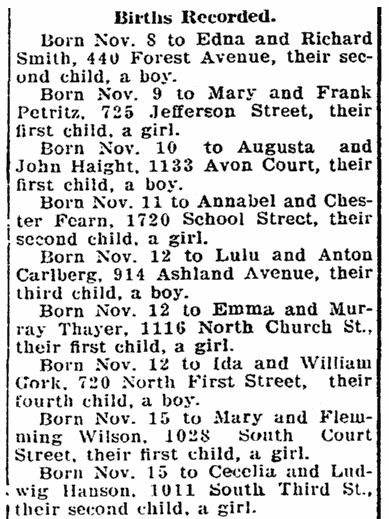 Frequently, photos of the happy couple accompany the article as in this example from a 1955 North Carolina newspaper which includes the couple’s street address, the number of children they had (though unfortunately not their names), and the bride’s father’s name. Birth and marriage are a fact of life – and so too is divorce. All types of court actions can be found in the newspaper, including notices about divorce cases. Think divorce is a modern-day issue? Nothing could be further from the truth. In the United States, the first divorce occurred in colonial America. If you think people didn’t do that back in the “good old days” – yet your research shows a spouse that suddenly “disappeared” – consider the possibility of a divorce. The name of the divorcing couple might be found in a newspaper article listing court cases to be heard, or in a legal notice seeking a hard-to-find defendant. While only the most notorious or infamous of divorce cases warranted a longer newspaper article, these smaller mentions are important because they can lead you to further research in court records. Obituaries are a staple in genealogy research. 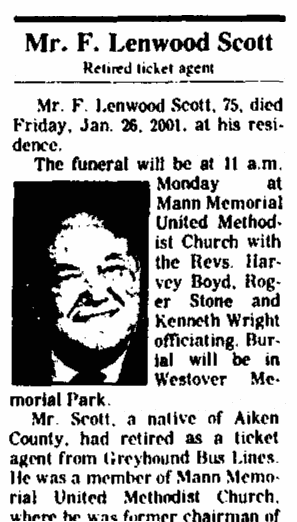 One of the first sources many family history researchers check, obituaries can be a hit or miss proposition. When you can find them they can range in length from a single line to multiple paragraphs with a photo. A few tips are in order when looking for obituaries. Remember that in some cases the obituary may have been preceded by notices involving the illness of the deceased or reports of an accident. These types of mentions would be more common in small communities. If the death was due to an accident or crime, search for articles detailing that event and then the coroner’s inquest or court trial that presumably followed. Like engagement notices mentioned above, obituaries may be found in multiple newspapers including where the deceased lived and the city they were from originally. Also take into consideration that a close relative may have also decided to place the obituary in their local newspaper as well. So were you familiar with these six types of newspaper articles? These are just some of the newspaper articles where your ancestor might appear. In tomorrow’s article we will explore six other types of newspaper articles that fill in the details of your ancestor’s life. Gena Philibert-Ortega holds a Master’s degree in Interdisciplinary Studies and a Master’s degree in Religion. Presenting on various subjects involving genealogy, women’s studies and social history, Gena has spoken to groups throughout the United States and virtually to audiences worldwide. 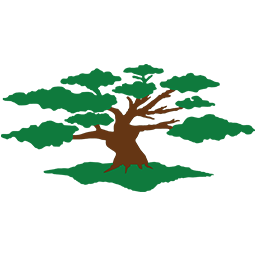 Gena is the author of hundreds of articles published in genealogy newsletters and magazines including Internet Genealogy, Family Chronicle, GenWeekly, FGS Forum, APG Quarterly and the WorldVitalRecords newsletter. She is the author of the books, Putting the Pieces Together, Cemeteries of the Eastern Sierra (Arcadia Publishing, 2007) and From the Family Kitchen (F + W Media, 2012). Gena is the editor of the Utah Genealogical Association’s journal Crossroads. An instructor for the National Institute for Genealogical Studies, Gena has written courses about social media and Google. She serves as Vice-President for the So. 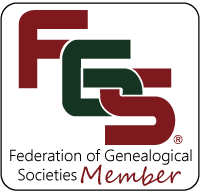 California Chapter of the Association of Professional Genealogists, board member of the Utah Genealogical Association and is a Director for the California State Genealogical Alliance.